The 2016 Amici Cellars Spring Mountain Sauvignon Blanc is an elegant wine created in the tradition of a fine white Bordeaux. 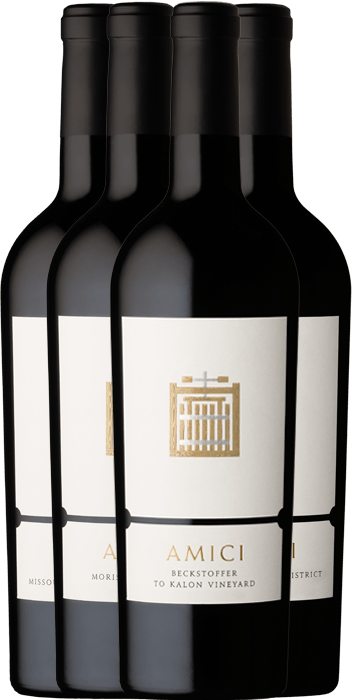 The vineyard source for this wine, from the famous Spring Mountain appellation, sits far above the valley floor at an elevation of 1200 feet. The combination of morning sun and evenings cooled by mountain air allowed the grapes to ripen slowly and evenly without major heat spikes, resulting in a refined, balanced wine. This wine opens with enticingly complex aromas of quince, dried herbs, vanilla bean, and fresh flowers. Its complex flavors of bright fruits contrast with round, tropical notes on the palate, showing an elegant structure and long, mineral-laden finish.